Often we not only lose good houses to new construction, but we lose a beautiful site as a lot is scraped and flattened to accommodate the new house. 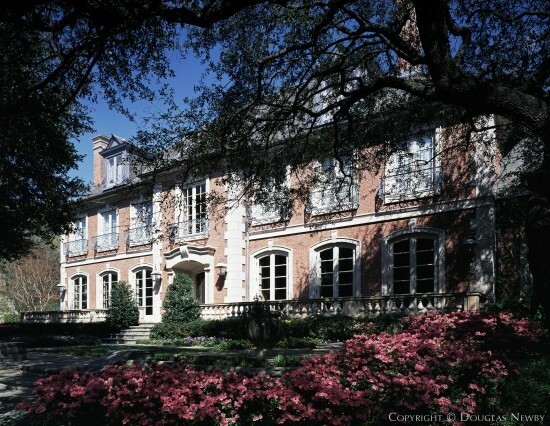 This French style home differs from many new mansions imposed on Dallas because it respects the site. The park-like setting is preserved. The home was designed to accommodate the towering trees. Lakeside at its best allows bicyclists and walkers to enjoy the sense of park on both sides of them - the public creek and park on one side and the private residential park on the other. 4416 Lakeside contributes to the pleasant symmetry of this very public street.